Everyone has a favorite movie, whether it’s a big-budget blockbuster or a little-known gem. In today’s post, we shine the spotlight on niche motion pictures that have stood the test of time. Break out the popcorn! You’ll find the most popular cult films in our Cult Movie Posters category, of course, along with oodles of obscure B-movies. 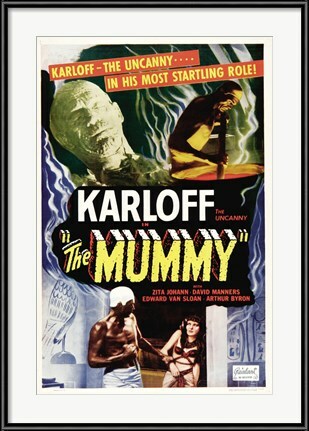 The archives include many vintage horror movie posters like this Boris Karloff Mummy movie poster, which is similar to an original poster that’s headed to a Sotheby’s auction, with a rather lofty target price of $1.5 million. 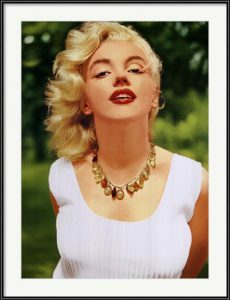 Norma Jeane Mortenson was born on June 1, 1926 into a broken home in Los Angeles, California. She married three times, the first at just sixteen years of age. Her first husband, Jim Dougherty, was a neighbor. The marriage didn’t last long. After a brief stint as a model, Norma Jeane changed her name to Marilyn Monroe and had her first taste of Hollywood fame in The Asphalt Jungle (1950). 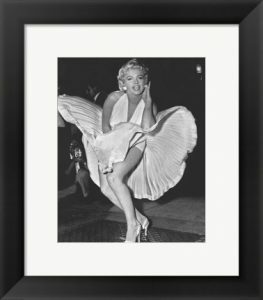 FramedArt’s selection of Marilyn Monroe prints spans her career. No star has ever burned as brightly, before or since.